4 Mortgages with low Money Down According to multitudinous reports, the Housing market has recovered. There has definitely been a significant amount of activity over the past several years. Until recently, there have been two primary issues that have kept buyers from entering the Real Estate market in significant numbers. The first was the sharp rise in home values, causing the prices to rise rapidly. This has actually turned out to be a good thing and points to a more stable market in the future. The second issue was the lack of affordable and accessible lending. The State of the Mortgage Industry As banks continue to recover from the financial crisis of the previous decade, they have been forced to adopt more stringent lending policies. A significant portion of the financial crisis and the collapse of the real estate market was due to extremely relaxed lending practices. This resulted in masses of people assuming home loans that they could not afford. As the bubble continued to expand the industry became more and more unstable. As more loans went into default, the bubble burst. This ultimately resulted in extremely strict and restricted lending practices in which buyers found it very difficult to qualify for a conventional loan. 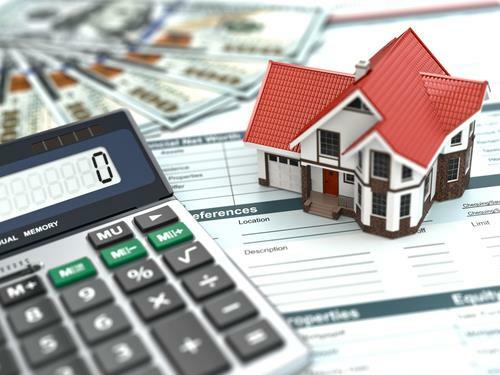 As the Nevada economy continues to recover, banks are being forced to re-evaluate their mortgage lending criteria in order to ensure that they will be able to continue to generate revenue and profits. Some of their alternative lending opportunities are drying up and they are being forced to reconsider the home buyer. This is good news for the home buyer. Another bit of good news is the fact that there are a number of mortgages in which the buyer does not have come up with a huge down payment. No Down Payment VA Loan There are loans that are guaranteed by Veteran Affairs — formerly known as the Veterans Administration. These types of loans are designed for veterans who qualify for VA home loans. These loans do not require any money down to obtain loan approval. These loans actually originate through private lenders, but they are guaranteed by the VA. Another great benefit with this type of loan is the fact that there are no mortgage insurance requirements. The borrower is required to pay what is known as a funding fee, but the fee can be rolled into the loan amount. The funding fee for VA loans varies, depending on certain criteria such as whether the veteran in question served in the regular military or the reserves, and whether it is the veteran’s first VA loan or a subsequent one. The funding fee can be anywhere from 2.15 percent to 3.3 percent. Navy Federal Loan The Navy Federal Credit Union, which is the nation’s largest credit union in memberships and assets, offers 100 percent home financing to all of its qualified members for buying homes that will be used as a primary residence. The eligibility is restricted to members of the military, civilian employees of the U.S. Department of Defense, the military and their direct family members. Department of Agriculture Loans The Department of Agriculture has what is known as the Rural Development mortgage guarantee program. This program is so popular that it has consistently run out of money before the end of the fiscal year. This means that the timing of the homebuyer’s application is vital. Many mortgage consultants list this program as their favorite to recommend to many of their clients. Despite the name of the program, the eligibility of this program is not confined to rural farmland. Those who may be interested should contact a mortgage broker or specialist to find out more about these types of loans. Use the same insurance company for multiple policies. Many companies will offer you a discount if you have multiple policies with them. Don’t hesitate to ask your insurance company about special rates if you use them for car insurance, home insurance, life insurance and contents insurance. 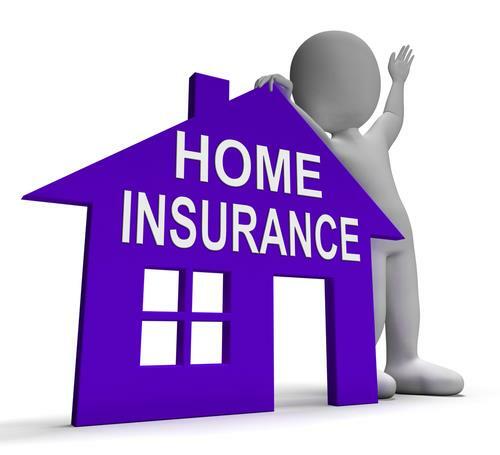 It’s generally a good idea to always get a combined home and contents insurance policy. In fact, ask for every possible discount! While asking for a multiple policy discount, why not ask for more discounts? Some insurance companies offer seniors discounts, no claim discounts, marital status discounts and nonsmoker discounts. Ask for a list of all discounts they provide and ask if they will match discounts that other insurance companies provide. If you have been with the company for a number of years, ask them for a loyalty discount. Check your renewal quote against a new customer quote. Some insurance companies end up taking their existing consumers for granted. Make sure that they are not offering new customers any discounts on their insurance premium that you are missing out on. If you find that new customers are getting benefits that you are not, contact your insurer immediately and demand the same deal! Don’t over insure If you recently bought your home for $250,000, you won’t need that much coverage as it includes the value of the land. Also make sure you haven’t over insured the contents inside of your home and make certain you keep an eye on the declining value of your assets. You could potentially reduce the value of your contents policy in line with the reduced value of your assets and save some money. Increase your deductible Perhaps the simplest way to lower your insurance costs, lower your deductible. That means when you do make a claim your costs will be higher, but for most people a claim on a home and contents is quite rare. Don’t make claims on your insurance for small things Avoid claiming on small losses. For example if your house is broken into and your old television that is worth $400 gets stolen, reconsider claiming on it. For starters, your deductible might be $300 then you have to consider the fact you lose any no claim bonus. You could be affecting the cost of insurance premiums for the next four or five years by making a claim. Review the “extras” attached to your insurance policy If you have any add-ons with your insurance policy like additional jewelry insurance or accidental damage cover, periodically review them. If you have decided to sell most of your jewelry or store it in a bank deposit vault, you could save some money on your insurance by skipping jewelry insurance. If your home is well maintained and unlikely to be damaged by accidents like damage to the mains services, you may not need an add-on like accidental insurance coverage. If you once had full accidental damage insurance that included pet damage, but your pet has died, make sire you remove it because these small add-ons all contribute their bit to the cost of the policy. Install an alarm system and make your home secure Make sure your home is secure and if possible, install a security alarm. Your insurance company will give you a discount if you make them aware of the various security measures you have taken. Maintain a good credit rating Insurance companies calculate your insurance premiums based on your risk profile. With home insurance that includes the condition of the home, the location of the home, the crime rate in that area, the type of home and the risk of natural disasters. Interestingly, many insurance companies also use your credit rating as an indicator of your risk profile, so if you maintain a good credit rating you can save on insurance. Prepare your home against natural disasters If you demonstrate to your insurer that your home is fully prepared for natural disasters you can also save on insurance premiums. Stay at home! Finally, the last way to save on home insurance is by staying at home. If you leave your home empty for 4 or more weeks, some insurers will consider that an increased risk for burglary and charge you higher premiums. Call us at 310-266-4650 to begin your home buying adventure!